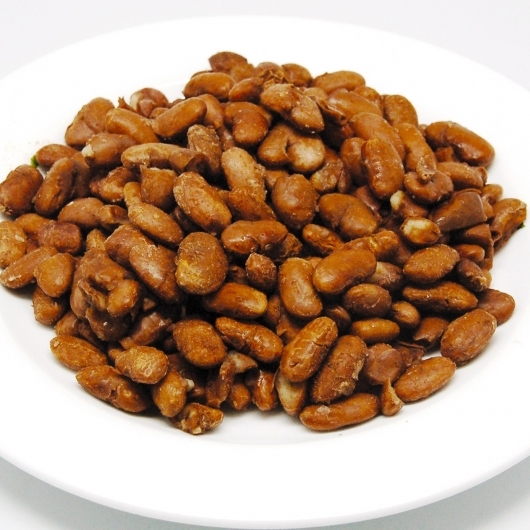 There are many recipes for Beans with walnut in Georgian Cuisine. 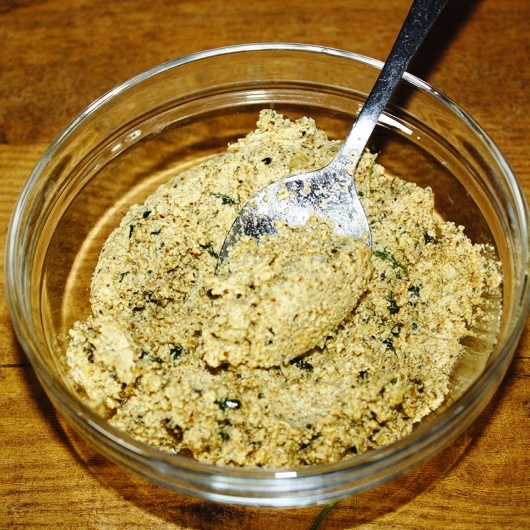 The version we offer is a cold dish that is traditionally from western Georgia. Boil beans, sieve and let it cool down. Save some broth. 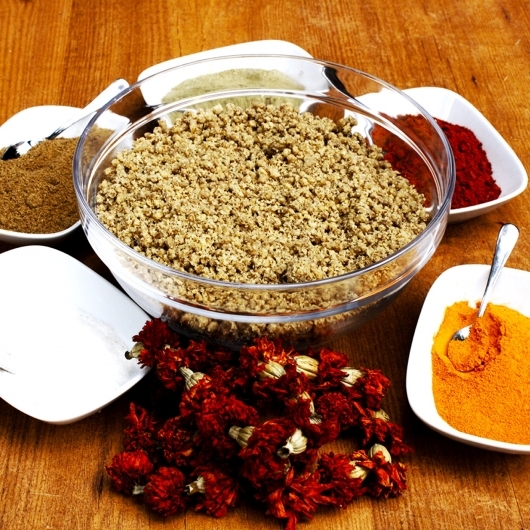 Prepare walnuts and spices: saffron, utskho suneli, dried coriander, dried savory, cinnamon, salt and red pepper. Mince walnuts twice. Chop onions finely. Mix walnuts, spices and onions. Add vinegar, bean broth (optionally), greens, pomegranate seeds and add the mixture to the boiled beans. Pour water (room temperature) on the flour and mix well until you get soft dough; make a ball. Spread oil on the clay bowl and put on it a thin layer of dough. 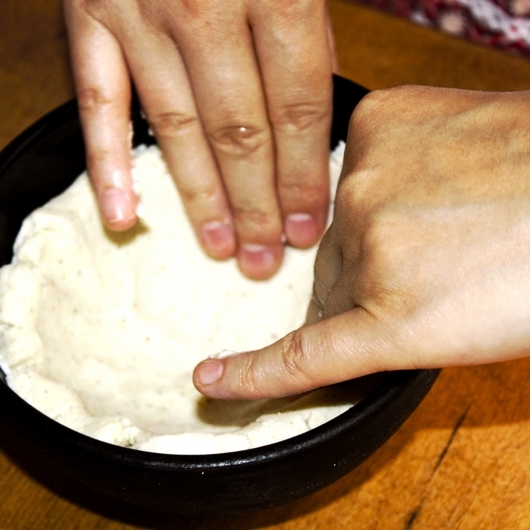 You should spread the dough in the bowl equally. You can have several Mchadi bowls like this. 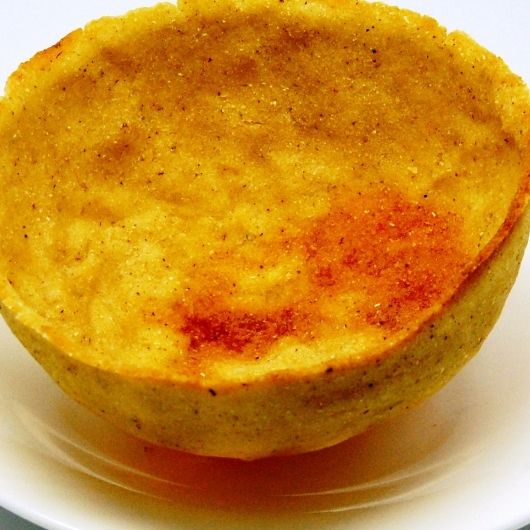 Put the Mchadi bowls in the oven preheated at medium-high temperature. 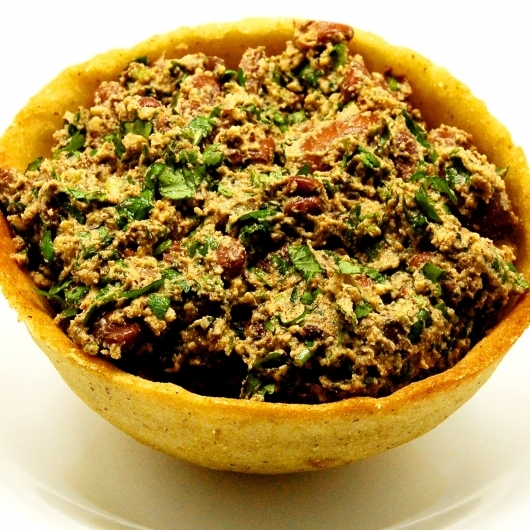 Put beans in the Mchadi bowl and serve. To boil beans fast, let them soak in water for a night. Sieve them the next morning, pour a new portion of water and boil. Beans will get ready quickly.